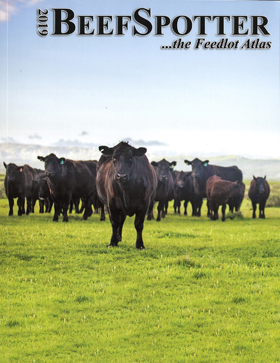 Publishers of the BeefSpotter Feedlot Atlas and the DairySpotter Dairy Atlas. Click an atlas cover or link to learn more. The 2019 BeefSpotter is a completely updated and enhanced resource for locating feedyards across the United States. With maps, demographic data, and directions to over 600 commercial feedyards, the BeefSpotter is the number one resource for the commercial cattle feeding industry. For over 20 years BeefSpotter has been the standard for up-to-date information about the cattle feeding industry. This comprehensive and valuable data is used by feedyards, cattle haulers, livestock feed companies, animal health companies, and cattle industry trade associations. The 2018 DairySpotter is a completely updated and enhanced resource for locating dairies in 7 States. The 2018 edition contains 130 new dairy listings, 230 edits and changes from 2017, and 60 new maps. All the Additional Dairies are now listed by city, making it easier to locate the dairies in and around a specific town. 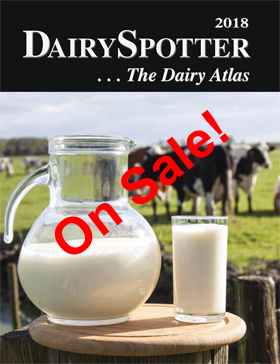 The 2018 DairySpotter provides demographic data for the largest dairy producing counties, and either a map or listing for 950 dairies in Arizona, California, Colorado, Kansas, New Mexico, Texas, and Utah. There is also a Buyer’s Guide to assist in finding businesses specializing in products and services to the dairy industry.